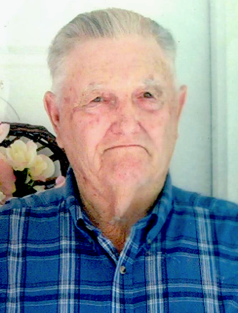 Wiley Harding Coker, Jr. 91, of Henrico, NC died Sunday, January 20, 2019, at Northampton Nursing and Rehabilitation Center, in Jackson, NC. Mr. Coker was born in Northampton County, NC the son of the late Wiley Harding Coker, Sr. and Hazel Bradley Coker. He was a U.S. Army Air Corp, World War II Veteran. The rest of his life was devoted to farming, in Northampton County. He was preceded in death by his wife Glenda Harris Coker. Surviving Mr. Coker are: two sons, Dallas L. Coker and his wife Lynne of Garysburg, NC and Mike Coker and his wife Rosa Gail of Roanoke Rapids, NC; a brother, Greg Coker and his wife Linda of Henrico, NC; seven grandchildren, Nicholas Coker, Christina Coker, Michael Ray Coker, Jeffrey Coker, Chris Coker, Shane Johnson and Kasey Gainey; five great grandchildren, Alex Griffin, Natalie Gainey, Alex Williams, Michael Lee Coker, Conner Coker and Brantley Coker. The family will receive at Wrenn Clarke & Hagan Funeral and Cremation Service, 1015 West Fifth Street, Roanoke Rapids, NC, Thursday January 24, 2019, from 1:00 PM to 2:30 PM. Funeral services will be held in the chapel of the funeral home, at 2:30 PM, Thursday, with Rev. Rick Russell officiating. Internment will follow in the Coker Family Cemetery, on Cal Floyd Road, Garysburg, NC. To send online condolences to the family please click here.